The check engine light is probably one of the most frustrating things about owning a car. The light comes on and you know something is wrong. The only thing is, there is zero information telling you what the problem is. While there are lots of reasons why your check engine light might come on, here are five common ones that you should look at first. At Woodbine Nissan, our team of technicians are trained to diagnosis almost any issue. If you need help with your check engine light or have other another question, call us at 416) 748-2900 or book an appointment online today. 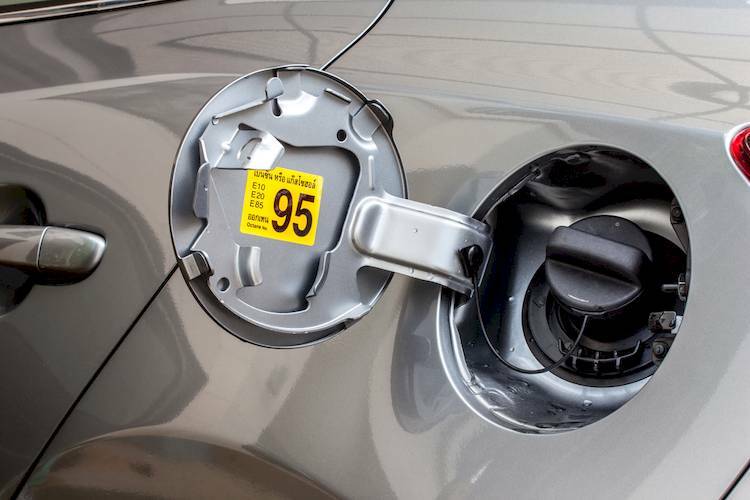 Inside your gas tank is an oxygen sensor that measures how much fuel is being burned. If the sensor is faulty or loose, it won’t deliver the right information to the computer. This lowers your fuel economy and actually increases the number of emissions your car creates. 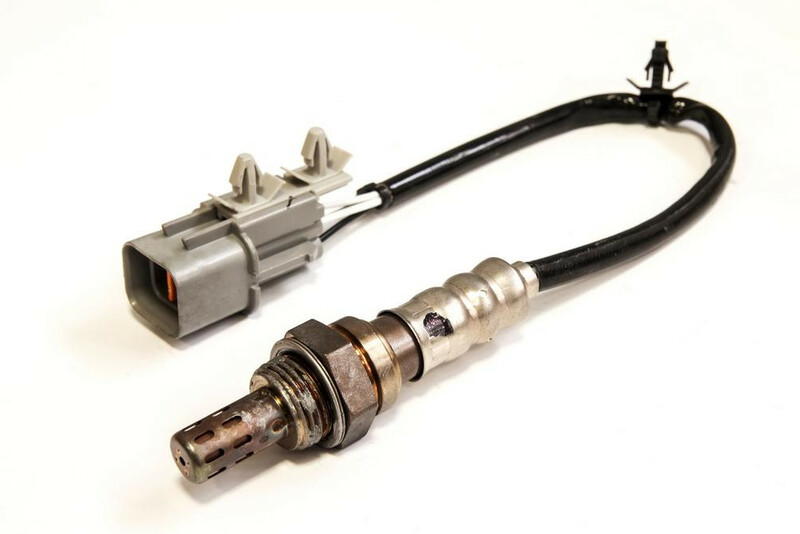 Most vehicles have between two to four oxygen sensors and the code you from a scanner will tell you which one needs to be replaced. What You Should Do: Have it fixed sooner than later. It’s a minor repair that when fixed right away, is relatively inexpensive. However, if left for too long, a fault oxygen monitor can lead to a broken catalytic converter and cost you thousands in repairs. When your gas cap comes loose, it throws your entire fuel system off. Not only do fuel vapors leak out, but you also start lowering your fuel efficiency and you increase the number of emissions you’re dispersing in the air. What You Should Do: This is an easy fix all around. If the gas cap is loose, pull over, give it a quick tighten and be on your way. If the check engine light turns off, you’re in the clear. However, if you pull over you see the gas cap has been fractured or is broken, it’s time for a new one. Luckily, they are cheap! 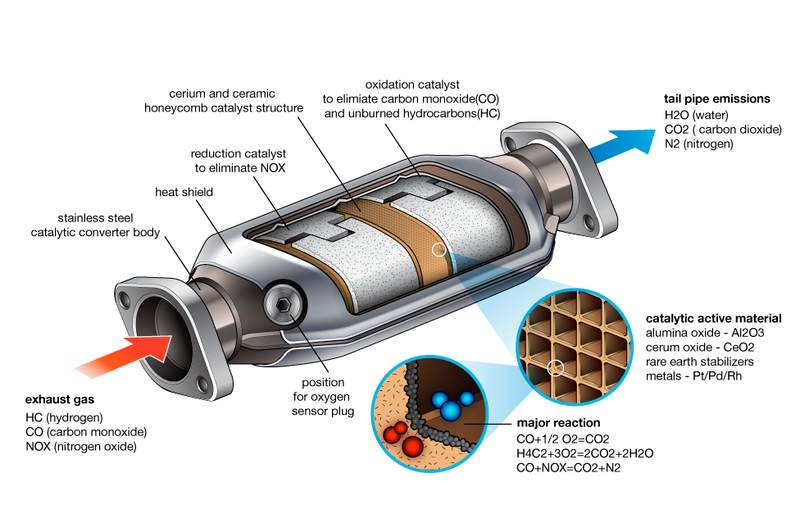 A catalytic converter takes carbon monoxide and other toxic materials that come from your vehicle and turns them into harmless compounds. While rare, catalytic converters can break down if your spark plugs are deteriorating or you have a broken engine sensor. If your converter is broken, your car will be less efficient or worst yet, it won’t accelerate when you push the gas. What You Should Do: If your catalytic converter is broken, your car will eventually stop running. It will also hit your wallet hard at the pumps because you’ll be burning way more fuel than you should be. This type of repairs costs more money than a broken oxygen sensor or loose gas pump. Depending on the vehicle, it can cost a few thousand dollars. The mass airflow sensor is responsible for telling your car how much fuel you need based on the amount of air that is coming into the engine. A sensor usually only breaks if your air filter has been replaced improperly. If broken, your car will produce more emissions, become less efficient and ultimately stall. 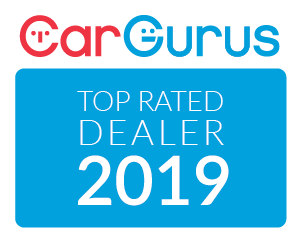 What You Should Do: While fixing a broken airflow sensor isn’t an immediate need, you will end up paying more in fuel due to a reduction in efficiency anyway. Your car might end up stalling a lot, too. So you might as well just do it. The overall repair job is minor and takes relatively little time. 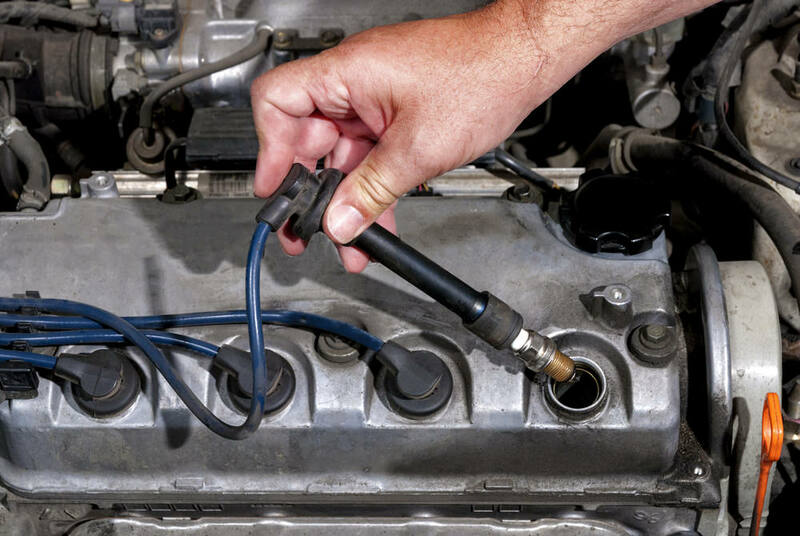 Spark plugs seal the combustion chamber and provide space for a spark to jump across the engine and initiate combustion. If the plugs aren’t working properly, the spark will misfire and you’ll feel a jolt in your car’s acceleration. While plugs can last for thousands of kilometres, they eventually fail and need to be replaced. 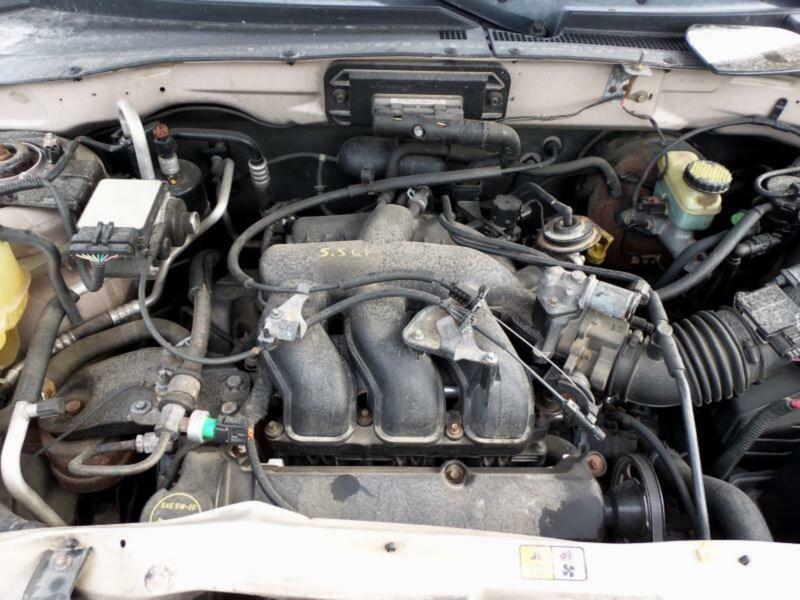 What You Should Do: Fixing broken spark plugs is easy and inexpensive. Some drivers opt to change them out at home. However, if you want to leave the job in the hands of a factory trained technician, our team will have them replaced in no time at all. That way, you can have the peace of mind knowing it was done correctly.